Boxer Modus Vivendi Otter 11821. Relive the atmosphere of the 80s with the Otter line. In gray with wide blue belt and contrasting finishes. 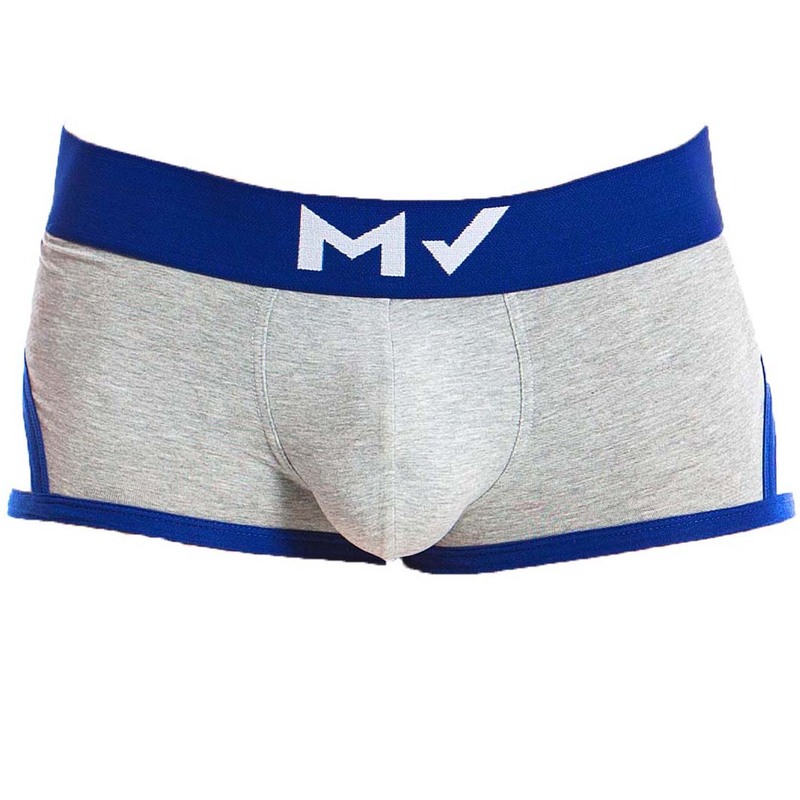 This underwear features the new stylish MV logo on the waistband and a flattering logo. With a triangle game on both sides showing your skin. Fall for the perfect fit. 94% Viscose, 6% Elastane.